We believe a person’s give should be greater than their take. 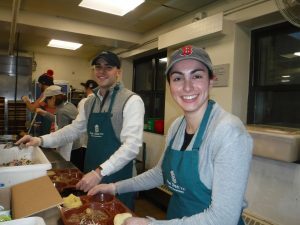 Volunteering is at very core of our firm’s values, so much so that it is part of our Floyd5 Guiding Principles. We encourage everyone at Floyd Advisory to make a positive social impact by supporting our partner organizations and have fun while doing so! We have the privilege of supporting the following high-impact social-purpose organizations that provide us with the opportunity to participate in creating positive change within our community. Floyd Advisory associates in Boston joined other volunteers to serve dinner at the Pine Street Inn. On average, Pine Street Inn prepares 2,000 meals per day for homeless individuals. The conditions in the current housing market have a substantial negative impact on families with limited incomes. Boston’s housing prices and overall cost of living are among the highest in the nation, yet wages have not kept pace with costs. In 2017, the City of Boston’s Homeless Census recorded that 6.3% of individuals were homeless. Pine Street Inn partners with homeless individuals to help them move from the streets and shelter to a home and assists formerly homeless individuals in retaining housing. Over 670 men and women come to Pine Street for shelter each night. Floyd Advisory is grateful for the opportunity to participate in creating positive change within our community. 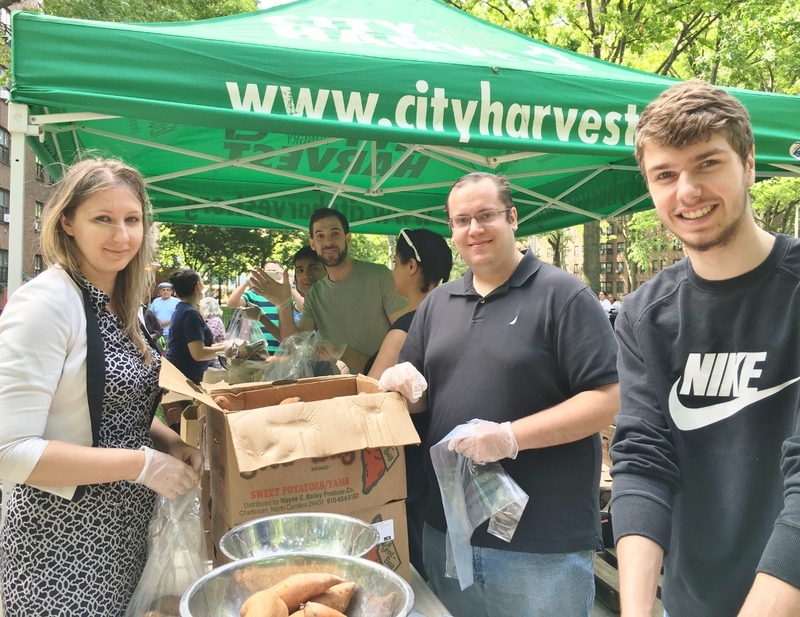 Floyd Advisory associates joined other volunteers in New York to help City Harvest fight hunger among approximately 400 families through successfully distributing more than 21,000 pounds of fruits and vegetables free of charge in the heart of a low-income community. Our volunteers lent a hand to set up the mobile market, distribute surplus yams, potatoes, onions, and mangoes, and when the last piece of fresh farm produce was handed out, they helped to disassemble tents and tables and clean up. 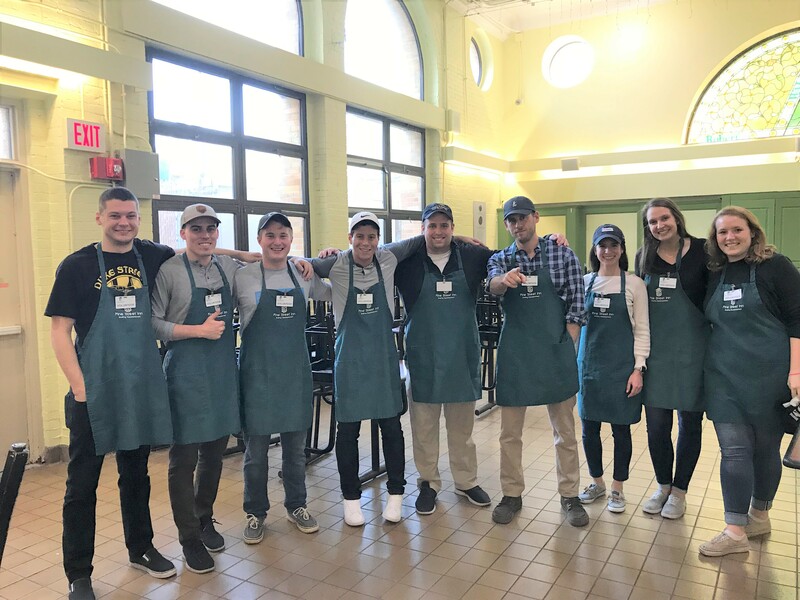 Floyd Advisory volunteers walked away with greater knowledge about City Harvest, hunger in New York City and a clear understanding of how their support makes a difference. Nearly 20% of New Yorkers currently live in poverty and struggle to afford basic necessities such as rent, clothing, transportation, medical care and putting food on their tables, but earn too much to qualify for government assistance. City Harvest fights hunger in communities in New York City through food rescue and distribution. Their efforts rescue some 150,000 pounds of excess food from farms, manufacturers, bakeries, grocers, and restaurants each day. With that, City Harvest helps feed the nearly 1.4 million New Yorkers facing hunger each year. 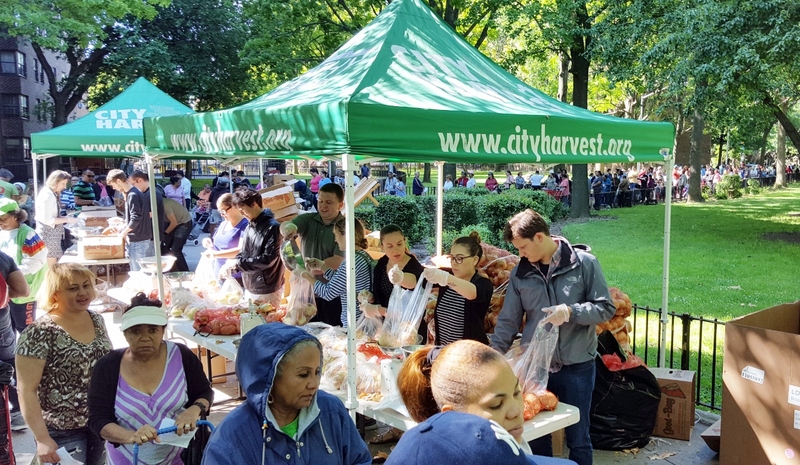 City Harvest regularly gives food to 500 community programs in New York City. Through their programs, it costs just 26 cents to rescue and deliver a pound of food. City Harvest’s goal is to grow their operations to increase the availability of affordable fruits and vegetables in low-income communities, provide nutrition education and resources to help all low-income New Yorkers maintain wholesome, food-secure diets, and address the city’s demand for emergency food. Floyd Advisory is proud to support City Harvest in their good work. Floyd Advisory associates in Boston joined other volunteers to support the mission of the Greater Boston Food Bank (GBFB) and package over 10,000 pounds of food which will provide 9,168 meals to food-insecure individuals and families throughout eastern Massachusetts. The food packed by our volunteers at the GBFB will go towards providing supplemental groceries to seniors and children every month helping ensure they don’t miss meals and receive the nutritious food they need to stay healthy. Food Pantries will participate in distribution through providing groceries on an emergency or occasional basis to those in need. Community Meal Programs cook and serve regularly scheduled meals to walk-in guests. The GBFB partners with 550 hunger-relief agencies like these and other food assistance providers scattered throughout eastern Massachusetts serving nine counties and 190 towns and cities in eastern Massachusetts from Lowell to Cape Cod. GBFB works to acquire, store, organize and distribute food through these local food pantries and community meal programs, as well as homeless and residential shelters, youth programs, senior centers, and day-care centers embedded in communities throughout the nine counties of eastern Massachusetts. Floyd Advisory volunteers work together as a team on an assembly line to load boxes onto conveyer belts, inspect, sort, and pack donated grocery products and label boxes that are then distributed to hunger relief agencies. More than 25,000 volunteers collectively contribute more than 65,000 hours of time annually. With this many volunteers, and with donations and in-kind support, GBFB is leading the fight to end hunger in Eastern Massachusetts. 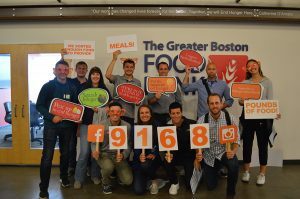 GBFB is the largest hunger-relief organization in New England and among the largest food banks in the country. Last year, GFGB distributed more than 54 million pounds of food out of its 117,000 square foot, state-of-the-art food distribution facility, enough to provide healthy meals to over 500,000 people. But despite these efforts, one in nine residents in our communities do not know where their next meal will come from. GBFB is committed to providing at least one meal a day for every person in need in eastern Massachusetts. Floyd Advisory proudly supports the Greater Boston Food Bank. Floyd Advisory associates joined thousands of runners, participants, and volunteers on a beautiful sunny Sunday morning in the Multiple Myeloma Research Foundation (MMRF) Team for Cures 5K Walk/Run at Carson Beach in South Boston. The annual event is organized to increase awareness and raise funds to accelerate finding a cure for multiple myeloma, which is the second most common blood cancer and is incurable. $690,690 was raised at this year’s event! Ninety percent of donors’ investments through the MMRF go directly towards research and related programming. 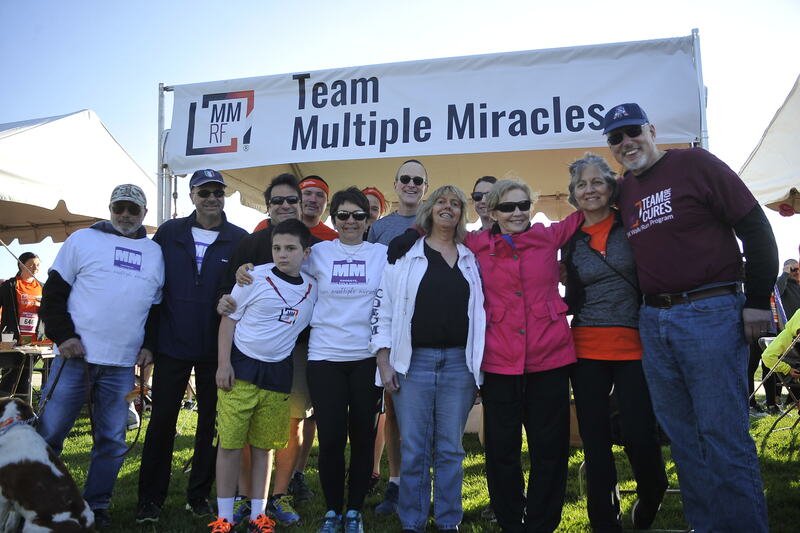 Funds raised through the MMRF’s efforts have helped to nearly triple patient survival. This past year, with the MMRF leading the way, six new treatment therapies were approved by the FDA for multiple myeloma. This is phenomenal! The MMRF brings treatments to trial sixty percent faster than the industry standard providing a meaningful impact on the lives of thousands of patients and their families. The mission of the MMRF is to relentlessly pursue innovative means that accelerate the development of next-generation multiple myeloma treatments to extend the lives of patients and lead to a cure. Visit the MMRF at www.themmrf.org.